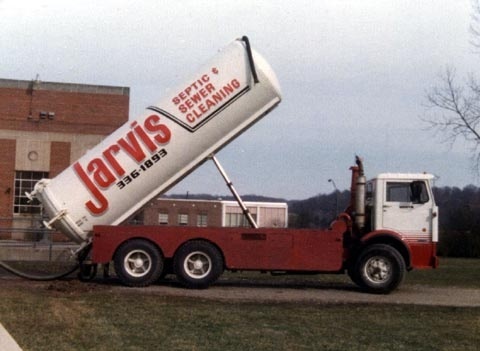 ﻿﻿ Here is the second truck that Noble Jarvis had. 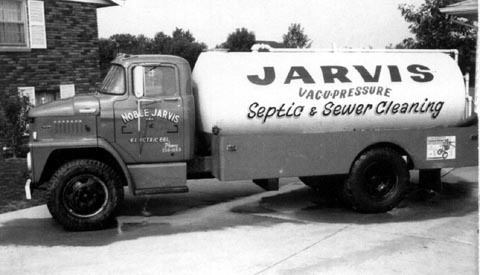 There are no known pictures of the first truck from 1961. This photo was taken in 1969. 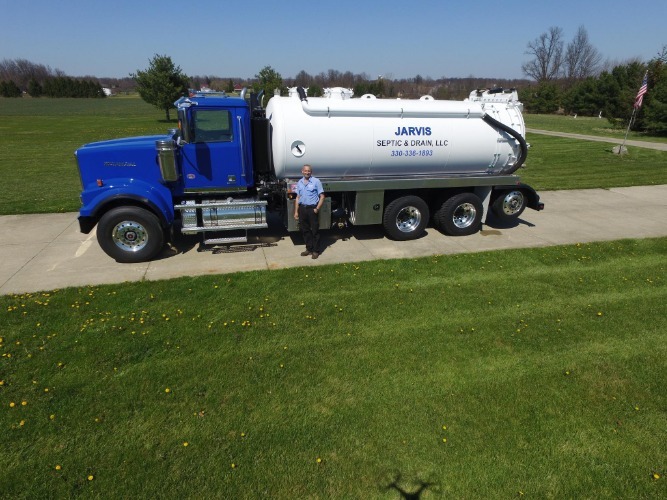 There are no pictures of truck number 3 that we can find. 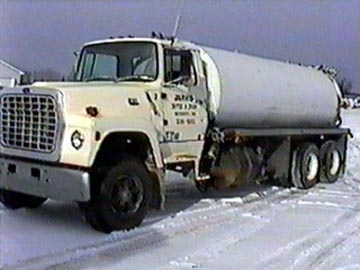 Truck number 4 went on the road in 1975. See above for a couple views of it. The tank on truck 4 outlasted the cab of the truck. 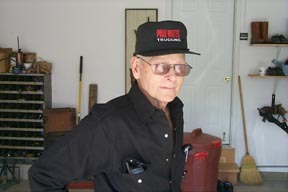 So in the late 80's it was mounted on the 1985 Ford LT9000 you see above. 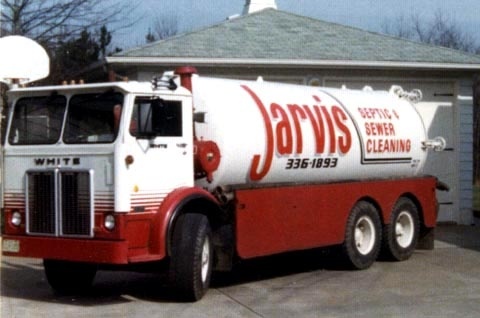 Gene Morris purchased Jarvis Septic & Drain from Noble Jarvis in 1992. 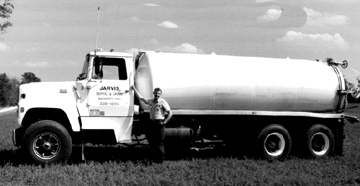 He continued on with the same phone number, name, and great customer service built by Noble Jarvis over the years. 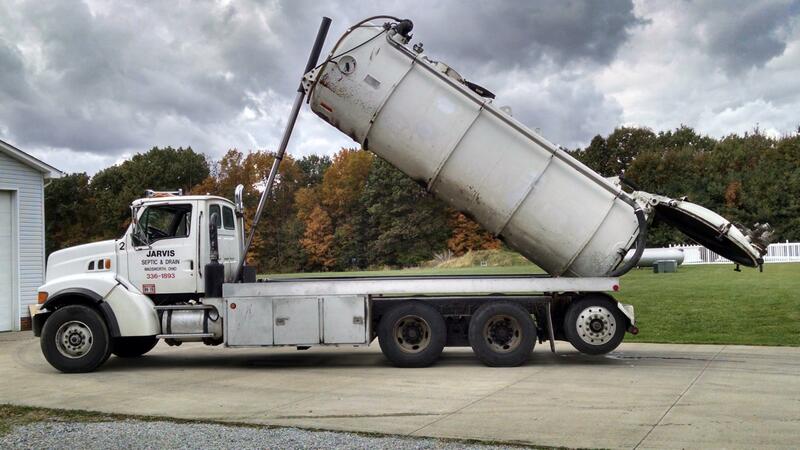 This 1998 Ford LT9511 went on the road in mid 1998, and was in operation until December of 2015. 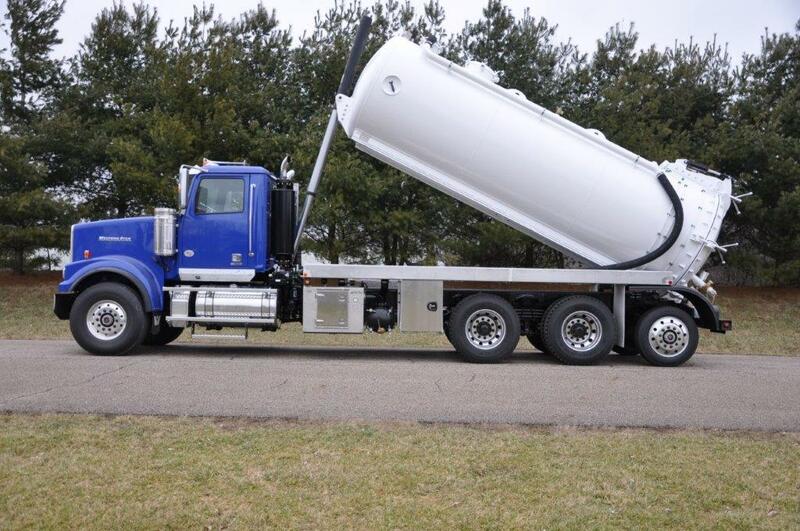 This is the current truck in use, a 2016 Western Star.